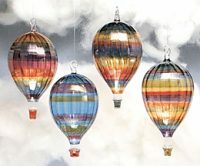 A pleasure to look at, our glass vintage style hot air balloon paper weights are reverse painted and then backed with velveteen. Their 4″ size makes them heavy enough to do some real work on your desktop, yet they are beautiful enough to be “objects d’Art” in any home. 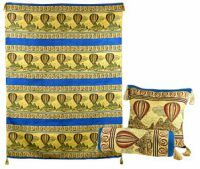 A stunning gift for any hot air balloon lover. 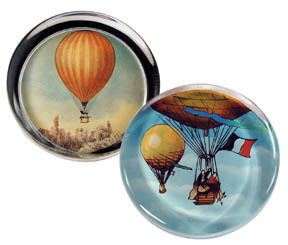 Choose from “1859 Balloon” (left), or “Lighter Than Air, 1870” (right).